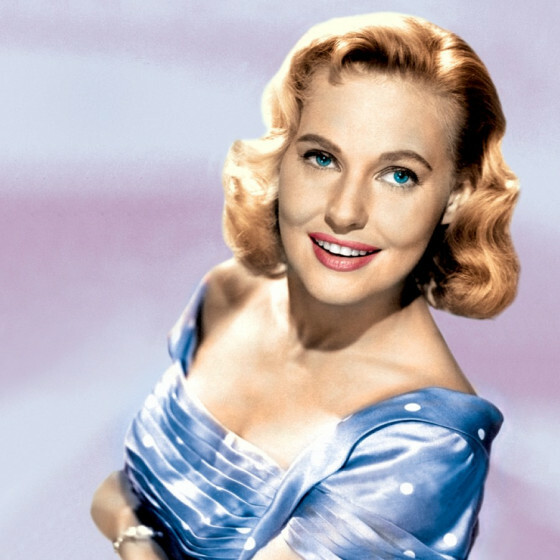 Lola Albright is much better known as an actress than a vocalist. She enjoyed her greatest fame in the late-'50s and early-'60s television series Peter Gunn, playing Edie, the private detective's on-again, off-again love interest. Albright was born in Akron, Ohio (July 20, 1924), to John Paul and Marion (née Harvey) Albright, both of whom were gospel music singers. She attended King Grammar School and West High School (graduated from there in 1942). Albright sang in public from an early age and studied piano for 20 years. Beginning when she was 15 years old she worked after school as a receptionist at radio station WAKR in Akron. At the age of 18 she left WAKR and moved to Cleveland, where she got her first radio performance on WJW in Cleveland.Moving to Chicago, she worked as a photographer’s model and was discovered by a talent scout, which lead to her moving to Hollywood at the age of 23. Albright made her motion picture debut with a small singing role in the musical comedy The Unfinished Dance (1947) and then appeared in two Judy Garland movies, The Pirate and Easter Parade, the following year. She first gained notice in the film noir Champion (1949), as the wife of a manipulating boxing manager, who falls for a prizefighter played by Kirk Douglas. For the next several years, she appeared in secondary roles in over 20 films, including several 'B' Westerns. Among them was a co-starring role in the slapstick comedy The Good Humor Man in 1950 opposite future husband Jack Carson. Some of the better films in which Albright appeared were Tulsa (1949), The Silver Whip in 1953, in which she played the love interest of Dale Robertson, and The Tender Trap in (1955), in which she was one of the several women trying to trap a bachelor played by Frank Sinatra into marriage. In the early 1950s, she was a frequent model for pinup painter Gil Elvgren. Albright also appeared briefly in the '60s primetime soap opera Peyton Place, temporarily replacing the lead star Dorothy Malone for a few months when Malone became ill in the fall of 1965. Though Albright portrayed a nightclub singer on Peter Gunn, she was never a notable vocalist. Her delivery and style were in the "torch" and light pop mode, somewhat similiar to Julie London though not as effective. Her commercial appeal was directly linked to the popularity of Peter Gunn. Columbia Records signed her as a vocalist, leading to Albright released the music album Lola Wants You in 1957. 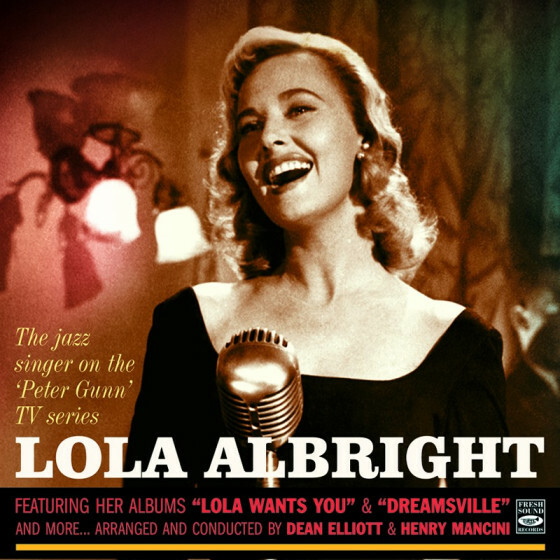 Albright's role on Peter Gunn directly led to her second music album Dreamsville (1959) which was arranged by Henry Mancini and featured his orchestra. 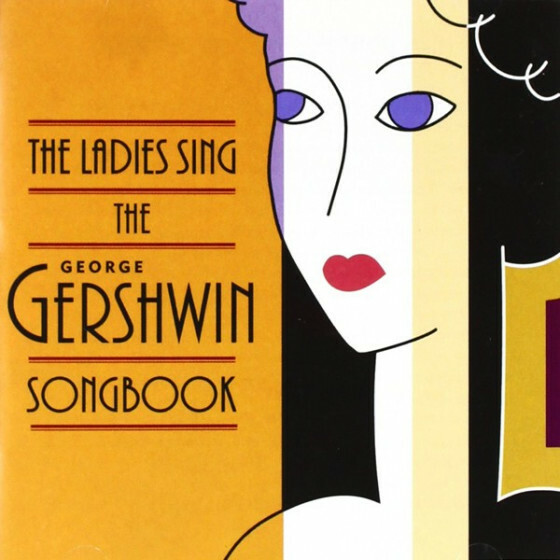 Albright is one of the few non movie-soundtrack singers for whom Mancini arranged. In 1959, Albright was nominated for the Emmy Award for Best Supporting Actress (Continuing Character) in a Dramatic Series for her work on Peter Gunn. In 1966, she won the Silver Bear for Best Actress award at the 16th Berlin International Film Festival for her role in Lord Love a Duck. Albright married and divorced three times, having no children of her own. Her first marriage, to Cleveland radio announcer Warren Dean, occurred in 1944. They divorced in 1949. Her second husband was actor Jack Carson (1951 to 1958). Her third marriage was to Bill Chadney (1961-1975), who played Emmett, the piano player on Peter Gunn. Following her retirement from acting she spent her years living in Toluca Lake, California. Albright fractured her spine in a fall in 2014 and had been in declining health prior to her death of natural causes on March 23, 2017, aged 92.